US Open champion Naomi Osaka set up a potential rematch of her controversial Flushing Meadows final against Serena Williams after beating Elina Svitolina 6-4, 6-1 to reach her first Australian Open semi-final on Wednesday. The 21-year-old Osaka committed a string of unforced errors but still proved too strong for the sixth-seeded Ukrainian, wrapping up the win in an hour and 12 minutes to become the first Japanese woman to reach the last four at Melbourne Park since Kimiko Date in 1994. Osaka's first Grand Slam triumph at the US Open last year was overshadowed by a row between Williams and umpire Carlos Ramos. The American is playing Karolina Pliskova in the remaining quarter-final. "I played them both and they are both very great players," said Osaka after her match at Rod Laver Arena. "And I know that it's going to be tough no matter who I play, and honestly I'm just trying to go inside because it's little bit hot right now. Sorry," she added as the crowd burst into laughter. 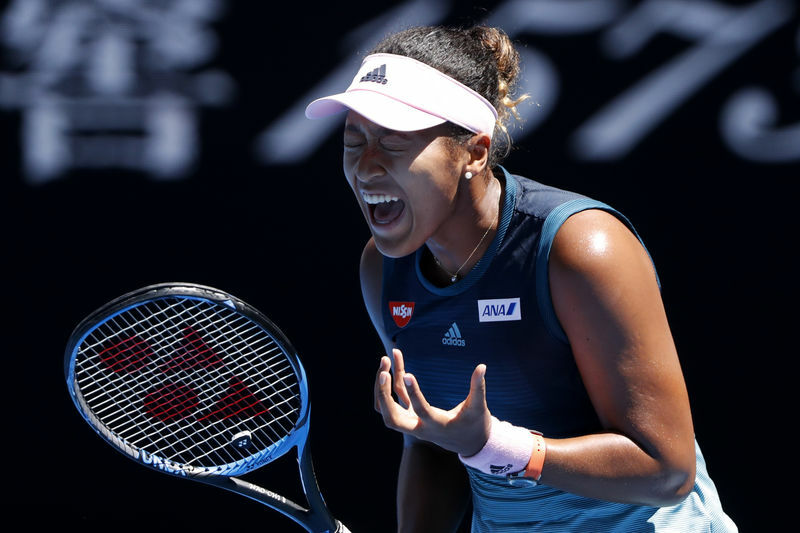 Osaka's power was on full display against WTA Finals champion Svitolina, with the Japanese thumping 31 winners to her opponent's 11. But she was also sloppy at times, committing 25 unforced errors, nine more than Svitolina. The 24-year-old Ukrainian kept her errors in check to get two service breaks back and stay in the opening set at 4-5. Osaka blew three set point opportunities on Svitolina's next serve with three embarrassing errors, berating herself with angry slaps on the thigh. However, the Japanese gathered herself and hit a crisp backhand to set up a fourth chance, and converted it when Svitolina thumped a return into the net. The Ukrainian took a medical timeout in the second set for neck and shoulder problems with Osaka up 3-0 but she was broken again after returning to the court. "I felt pain from the beginning of the tournament here and there. It was going and coming back," Svitolina said. "Unfortunately today was a little bit worse than I expected. "It's normal to have some tension during the Grand Slam and it happens, but unfortunately I couldn't handle it today." Fourth seed Osaka served her eighth ace then converted her first match point with an overhead winner to seal the win.